Whenever tuna is available one ought to taste it raw as sashimi or sushi. Now, avaibility does not always mean quality. On the other hand, the Japanese have a simple and delicious way to accomodate tuna of any quality: magurozuke, which basically means marinated tuna, a concept easy to understand anywhere in our world! Here is a basic recipe you can easily improve and adapt. I can guarantee you that your friends will look at you with a different eye! -Sushi rice: as appropriate. Check Sushi Rice Recipe here! -Prepare the marinade: In a bowl drop the soy sauce, Japanese sake, mirin and chopped leeks. Mix quickly. Slice the tuna for sushi. Take care of slicing it in equal size (especially thickness) slices! Drop all the slices inside the marinade. Stir gently so as all fish is marinated. Cover with cellophane paper and leave inside the fridge for at least 30 minutes. 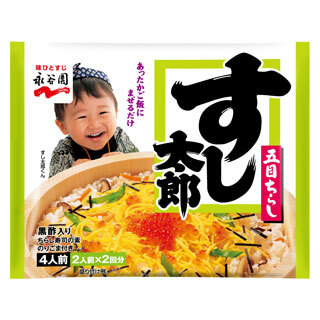 -Prpare the rice balls/shari in a slightly elongated size. Remember that the rice balls/shari should be slightly narrower and shoter than the tuna slices. Smear a little wasabi paste on top of each rice ball. Skip if you don’t like wasabi. On the other hand you could top the nigiri (taht is on top ofthe fish, not the rice ball) with a little grated ginger! Take tuna slice out one by one, shake them over the marinade bowl to let run excess marinade (do not sponge it off! ), place a slice on each rice ball firmly enough (no need to overpress it between your hands, or you will have marinade everywhere!). Place on a service dish and eat as soon as possible. 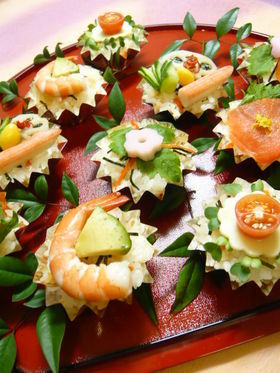 Sushi Cupcakes: For an easy Party! Cupcakes don’t need to be introduced, neither sushi! But have you ever thought of combining the two for an easy party meal/snack for adults or children? Here is a simple suggestion you can easily adapt to impress your friends! 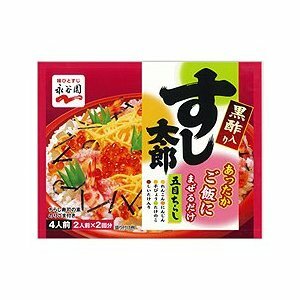 The above can be found easily in Japan or at Asian supermarkets abroad to make your work very easy! They are also called “Go Moku Chirashi”. The above is available on Amazon.com in Japan! -Pour the warm rice and the sushi mixture into a large bowl and mix quickly. -Fill aluminum foil cupcakes or cups with the sushi rice. Make groups of two or three cups. Srim\nkle them all with finley cut dry seaweed (skip seaweeed if you don’t like it! ), or with some roasted sesame seeds. If you have some tube wasabi handy, put a little in the middle. -Top first series with A) you will have beforehand seasoned with mayonnaise of your liking. -Top second series with B). Season with a little yuzu koshio if you have some. If not, a little lemon juice is fine. -Top third series with C). -Top fourth series with D) Notice the way the cucumber are cut! Grilled Mackerel Sushi/yaki Saba Sushi! Mackerel, or saba/鯖 in Japanese is a very popular fish everywhere in the world. 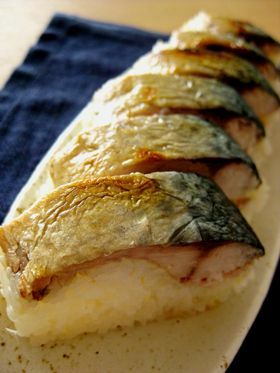 The Japanese love theiir mackerel sushi either raw or pickled as “shimesaba/しめ鯖”. -Wash the rice and steam it normally, but with a little less water than ususal. -Chop the fresh ginger very finely. Add the rice vinegar, sugar and salt to the chopped fressh ginger into a bowl and heat to boil. Reduce fire to low immediately and cook for 1~2 minutes. -Take bones out of the fish. Salt both sides and grill on both sides. Grill until skin becomes “bubbly”. -In a bowl, drop the freshly steamed rice. Add the ginger dressing to it. Using a fan to cool it at the same time, “cut in/mix” the rice gently with a spatula until it has become brilliant and well-coated. -Spread the fish skin down on a sheet of cellophane paper. Place the sushi rice on top and along so as to cover it completely. Don’t be afraid to use plenty! 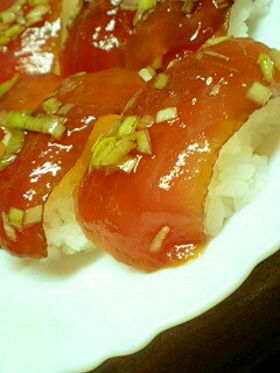 -Wrap the cellophane paper around the mackerel and rice and form a thick “stick” with your hands. Leave aside for a while. -Cutting: use a sharp knife and cut acroos the wrapped sushi, wiping the knife clean after every cut. Easy sushi recipe for people who don’t like raw fish!